Day 2 Arrive Addis Ababa. City Tour. Overnight in Hotel in Addis Ababa. Day 3 Fly Axum. Overnight in Hotel in Axum. Day 4 Explore historic sites. 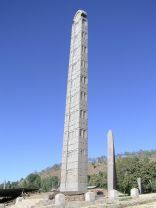 Overnight Axum. Day 5 Fly to Lalibela. 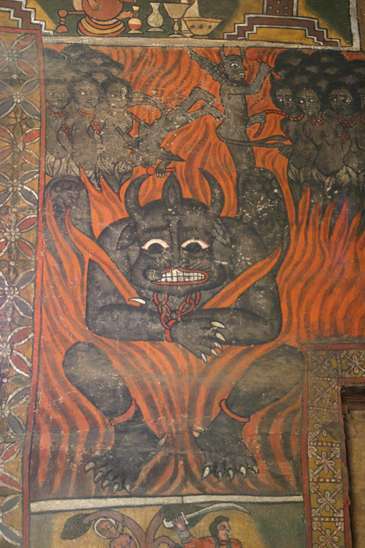 Visit Rock hewn Churches. 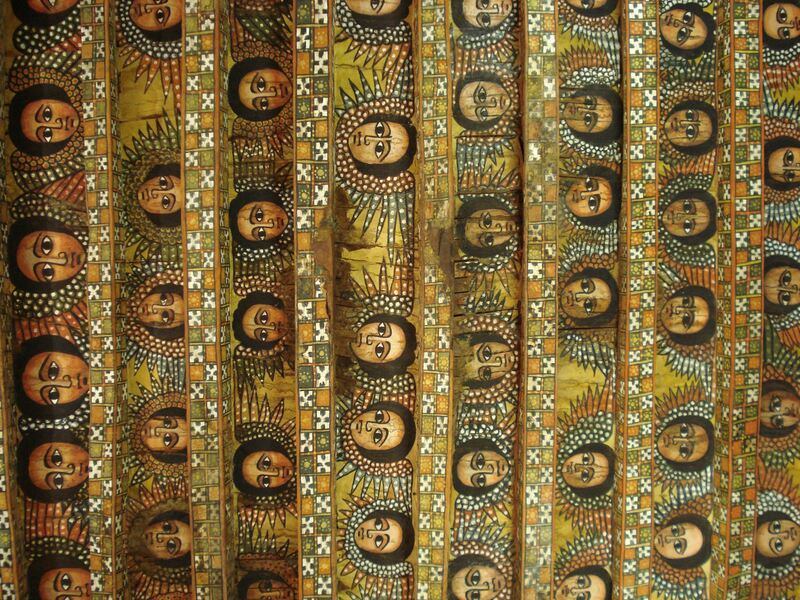 Overnight Hotel in Lalibela. Day 6 Around Lalibela. Completing exploration of sites of interest. Day 7 Fly to Gondar. Visit Royal Enclosure and Trinity Church.Overnight Hotel . Day 8 Around Gondar. Optional Drive to Simien national Park to enjoy mountains. Day 9 Fly to Bahir Dar. Day 10 Visit Tis Issat Falls. Afternoon boat trip across Lake Tana to visit Monastery. Day 11 Fly to Addis Ababa. We feel there is much to be gained by travelling by car because of the spectacular scenery on some of the routes. Day 3 Drive to Dessie. Overnight Hotel in Dessie. Day 4 Drive to Lalibela, through Woldia. Overnight Hotel in Lalibela. Day 5 Explore Rock Hewn Churches. Day 7 Drive to Axum through Debre Damo and Yeha. Overnight in Axum Hotel. 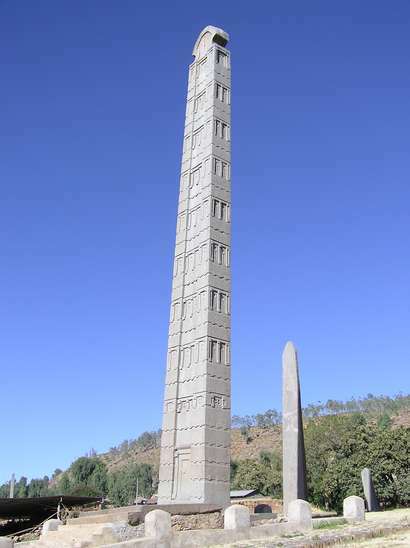 Day 8 Visit Historical sites in Axum. Overnight Hotel. Day 9 Drive to Gondar through the Simien Mountains.Overnight in Hotel. 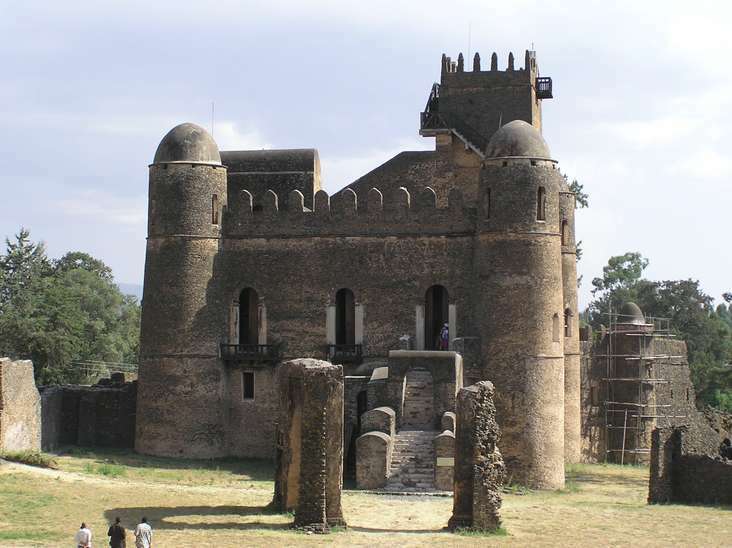 Day 10 Explore Gondars Royal Enclosure and Trinity Church. Overnight Hotel. Day 11 Drive to Bahir Dar. Overnight Hotel by Lake Tana. Day 12 Visit Tis Issat Falls. Afternoon boat trip across Lake Tana to a monastery. Day 13 Drive to Debre Markos.Overnight Hotel. Day 14 Drive to Addis Ababa through Debre Libanos.Overnight Hotel . We feel this is the least time (12 days or longer) you should allow to appreciate all the Historic North has to offer. Your visit will be greatly enhanced if you can spare a little more time. 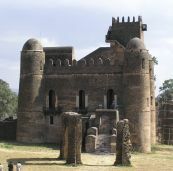 A professional guide will meet you at Addis Ababa airport and accompany you for the whole trip at all times. Click here to view this itinerary in more detail.